NECKLACE - SARAH COVENTRY. "TIMELESS" FROM 1977. LIMITED EDITION, DESIGNED BY C.H. STUART. 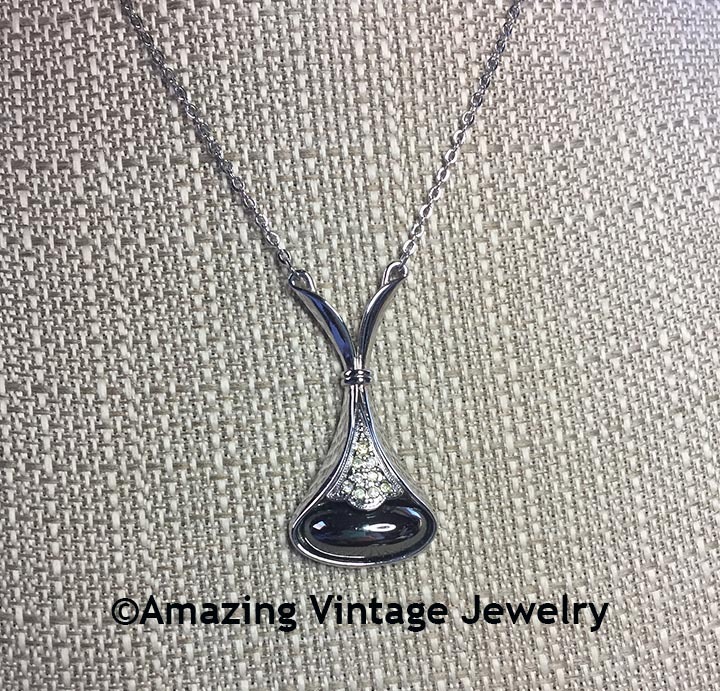 LAGE SILVERTONE PENDANT WITH LARGE SHINY BLACK HEMATITE INSET AND ACCENTED WITH CLEAR RHINESTONES. 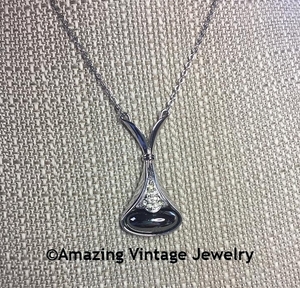 PENDANT IS 1 13/16" LONG, 1" WIDE. CHAIN IS ADJUSTABLE TO 17" AND 19" LONG. EXCELLENT CONDITION.